This week we saw an improved clearance rate from 54% last week back to 58% on 643 auctions. 307 sold at auction and 64 sold before auction. Of the 271 that passed in, over 50% of those were on a vendor bid (163). In addition, there were 157 private sales. Both houses and units/apartments had a clearance rate of 58%. While we are still waiting for the federal government to announce the election date, more vendors stalling from putting their properties on the market. This is creating a shortage of properties for sale and we are certainly witnessing a shortage of high quality properties on the market. The numbers of upsizers getting into the market to benefit from the more buoyant “entry level market” and the softer ‘’mid range” price point is increasing. This market is really positive for buyers who are also wanting to move upgrade closer to the city. Our team secured three properties last week, two of them at auction with multiple bidders and one off market property. All for owner occupiers. The investor market is still not as active as it was two years ago but this may change quickly, especially if Labor win and we should see an increase in investors wanting to enter the market prior to the 1st of January 2020 proposed changed policies. That being said, I do wonder how effective their policy is going to be and how much first home buyers will actually benefit as the investor market is not significantly active at present. Four bidders, all owner occupiers (and mostly first home buyers), fought it out to secure this rare find in East Brunswick. Quoted at $650,000 to $680,000 prior to auction, this two bedroom, single level street fronted unit was popular. There were more interested parties in the crowd that did not put up their hand. 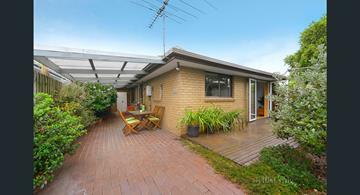 The property was announced on the market at $695,000 and sold under the hammer for $720,000. This three bedroom, two bathroom townhouse was quoted $1,300,000 to $1,400,000 prior to the auction which the market determined was conservative after four parties bid hard to try and secure this three level, well located home. Bids were flying from all directions with the property being announced on the market $1,350,000 and selling for $1,561,000 which was a huge $211,000 over the reserve price. A lovely thee bedroom, two bathroom, single level townhouse overlooking Gardiners Creek was popular with a mix of downsizers and first home buyers. 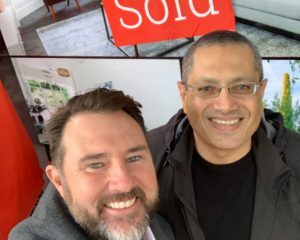 The property had a realistic price quote of $850,000 to $920,000 and interestingly the property was announced on the market at $880,000. 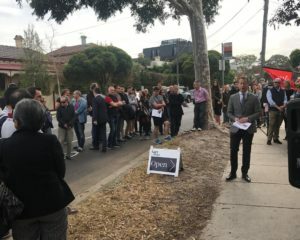 Five bidders in total attempted to purchase this property with the property selling for $920,000 under the hammer.